With baseball season around the corner, there’s no doubt that Cubs fans are anxious to see what’s in store for their team. Management suffered a complete overhaul of changes this off-season. 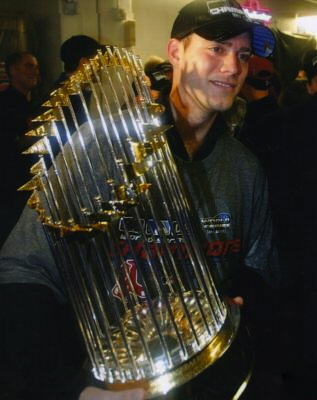 The biggest of them was the signing of team President Theo Epstein, the man from Boston who is given a lot of credit for ending baseball’s second longest World Series drought (Boston’s last title before the 2004 World Series was won in 1918). As a Cubs fan myself, I’m one of the more anxious fans waiting to see how Epstein plans on bringing the Cubs organization its first World Series in over 100 years. 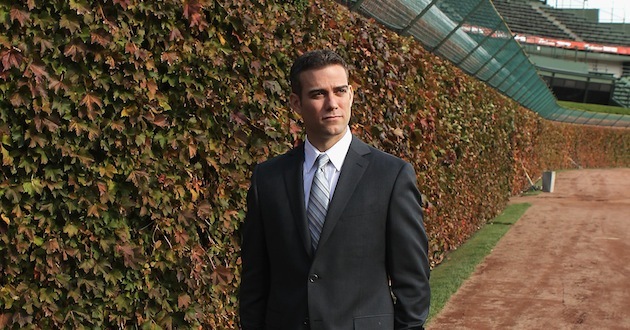 Epstein, however, may not be the savior the Cubs’ faithful have hoped for after all. Epstein arrived in Boston in late 2002 as a 28-year-old, hot shot with the same expectations and situation he’s in currently: the head decision-maker of a “cursed” franchise that happens to play in a mesmerizing, classic ballpark that is full of diehards, game in and game out (although last season sparked a bit of a change at Wrigley). The Red Sox then ended their 86-year drought only two seasons after Epstein took over as the team’s general manager. But can the majority of credit actually be attributed to Epstein for the Red Sox’s 2004 championship? Epstein did happen to make a few key moves during the season, such as signing David Ortiz and Keith Foulke, in addition to trading for key components like Curt Schilling, Kevin Millar, and Orlando Cabrera. The core of the Red Sox (Manny Ramirez, Pedro Martinez, Jason Varitek), however, was there before Epstein took the reigns as GM. I’ll give Epstein some credit for the 2004 World Series win, because he arguably brought a lot of talent and leadership to an already pretty talented team. Boston’s 2007 World Series is a little bit of a different story though. I would go as far to say that Epstein and the Red Sox were blessed with copious amounts of talent as a result of great drafting. Here is where Epstein gets a little too much credit, in my opinion. Since 2003, the Red Sox have selected these players during the draft: David Murphy and Jonathan Papelbon in 2003, Dustin Pedroia in 2004 Clay Buchholz, Jed Lawrie and Jacoby Ellsbury in 2005, Daniel Bard, Josh Reddick, Ryan Kalish and Justin Masterson in 2006, and finally, Anthony Rizzo in 2009. The Sox have also drafted, but failed to sign, a few other supremely talented players, such as Pedro Alvarez in 2005, Brandon Belt and Matt LaPorta in 2006, and Yasmani Grandal in 2007. All ended up being top selections/prospects later on in their careers. I don’t give Epstein the credit for bringing the vast amounts of talent in from the draft. The credit should go to the Sox’s scouts. You don’t see Epstein sitting in the bleachers at high school baseball games, scouting future MVPs like Dustin Pedroia. He just evaluates scouting reports and makes picks on draft day. What Cub fans should expect from Theo are some key off-season acquisitions as well as some contract-dumping to go along with it. This is his main focus, after all, but has seems to be least impressive trait. Here are some of Theo’s biggest free agent signings during his tenure as a member of the Sox: Edgar Renteria for four years, $40 million and Matt Clement for three years and $25.8 million in 2004. In 2006 he signed Julio Lugo to a four year, $36 million deal and Daisuke Matsuzaka for six years, $52 million plus the $51 million negotiation fee. J.D. Drew was signed to an eye-popping, five year, $70 million deal in 2007. Epstein brought in 37-year-old Mike Cameron for two seasons at $9 million a pop, as well as former White Sox closer Bobby Jenks for two seasons and $12 million in 2009. During this 2009 off-season, however, Epstein may have surpassed all of his previous signings in terms of negative value, with the signing of John Lackey for five years, $82.5 million. Lackey has been anything but good in the past two seasons, going 26-23 with a 5.26 ERA. Currently, Lackey is scheduled to miss the entire 2012 season after undergoing Tommy John surgery. This is a rare case where season ending surgery actually helps the team out. Call it addition by subtraction, I suppose. Don’t forget about the Carl Crawford deal, either. Epstein gave the superstar outfielder an astounding $20 million per season for the next seven. However, Crawford is a proven player that may just need to adjust to his new team. This signing will likely be close to what it’s worth in the near future, whenever Crawford decides to return to form. I don’t mean to bash Epstein. He’s a great general manager who has done what is most important, and that is to win. I just hope that he doesn’t throw around money like he did in Boston. One Alfonso Soriano contract is bad enough to last (for what it seems like) a lifetime. Like Broncos fans and Tim Tebow, we can forgive and forget Theo Epstein’s mistakes if he is capable of bringing a World Series or two back to the north side. 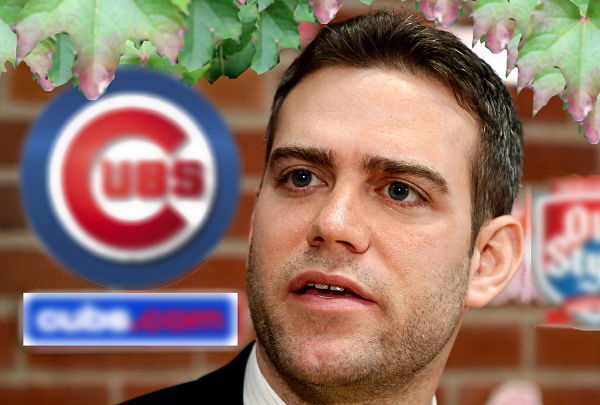 Welcome to the Chi, Theo. I’m sure it’s only a matter of time before Theo’s spark is lit in Chicago. Fear not! first of all theo didnt make the picks in boston, he had final say, but the picks were made by mcleod who was brought to the cubs from the padres. the director of scouting makes draft picks not the gm but the gm gets the credit because hes the one who hires/is responsible for the director of scouting. theo admitted that long term deals are his weakness and thats the reason he has assembled the team that he currently has so they can make decisions on deals like that as a collective unit. he has said that in the past he had paid for past performance instead of future performance, but would change that in chicago. their plan is to improve the club by making small trades, waiver signings, through the drafts. he also said he wants to be unpredictable so dont be shocked if a big signing does happen.